wpw006074 WALES (1921). 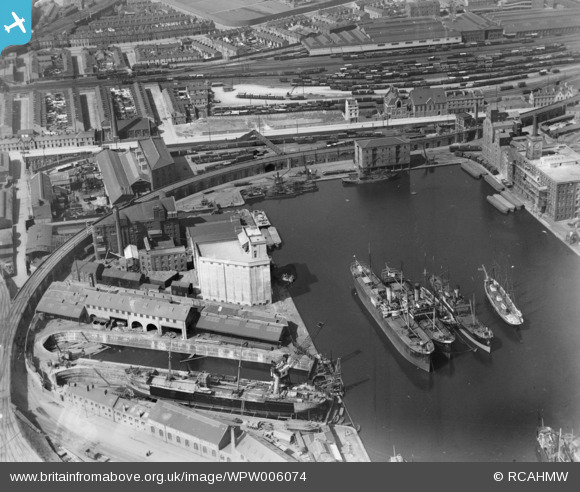 View of Bute East dock, Cardiff and surrounding area, oblique aerial view. 5"x4" black and white glass plate negative. Title [WPW006074] View of Bute East dock, Cardiff and surrounding area, oblique aerial view. 5"x4" black and white glass plate negative. Lancs & Yorks Rlwy. goods wagon - a long way from home territory.